Advanced Jumpers title | Can I Bring the Dog? 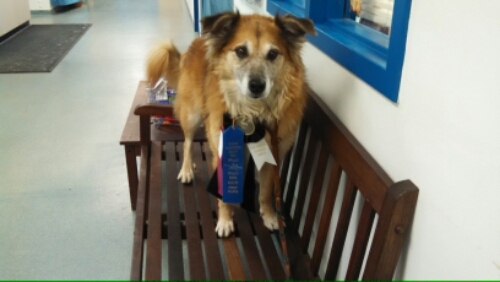 My good dog and agility team mate Chico earned himself a fancy ribbon today. His P2 Jumpers title. Fastest title we ever got, under six months to get three qualifying runs. The fact that there are no weave poles in Jumpers courses might be helping.